Features all residential and commercial garage door products. Features all residential and commercial WindCode® garage door products. Features information on Intellicore® insulation technology and products it is available on. Quick reference to all products available. Features all springing options available. 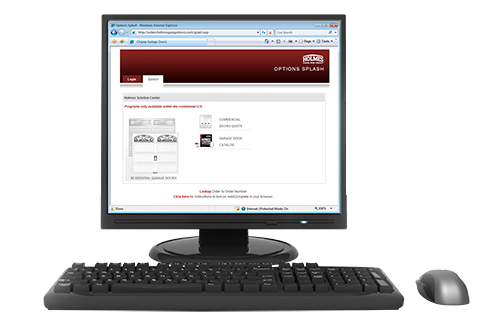 Features information on handling and transportation of Holmes garage doors. Holmes Garage Door Company® offers a complete line of top quality garage doors including traditional raised panel doors, carriage house style doors and contemporary styles. Holmes Garage Door Company® is a brand of Clopay Building Products Company, Inc.